Now and again we like to take to the airwaves. Here you can find videos of past and live events that we broadcast. Where should traders look to trade USDCAD after a new trade deal comes together? What’s next for USDMXN after the elections? Last week I spoke to the guys at Core London about how I saw the pound weakening as Brexit chatter ramped up. Even I was surprised at how quickly it dropped soon after but the reasons for it doing so remain. Today I caught up with Nick Batsford at Core for an update on the pound. Today I spoke to Core Finance TV about what’s going on in the dollar and namely USDJPY, and why the Trump/Mnuchin comments on the dollar are just clouding the bigger picture. The Aussie is testing a 2 year S&R area so could we see a break? Will we get fireworks in USDJPY into and over the BOJ? Has Surely there’s only one oil trade for the OPEC meeting, isn’t there? Time to gear up for trading the OPEC meeting. Has NZDUSD gone over a cliff and is USDJPY heading further south? The kiwi and dollar yen were the subjects of discussion on today’s Core London FX programme. I was in the west end of London yesterday and you wouldn’t believe it but they are putting up festive lights! Am I getting older or is Christmas getting earlier? Now i’m no scrooge so I thought in keeping with the time of giving, here’s my current take on the major pairs. This is my first market view webinar and I hope you like it. Please feel free to leave comments if you agree or, on the other hand, please disagree as it keeps me on my toes! Apols for being a bit later than usual in delivering the latest video. You can of course catch these live by following @FXStreetNews or by following our YouTube channel. A bit later than usual but here’s my latest look at what news and action is driving the markets. On today’s show, GBPUSD, USDJPY, EURUSD and Gold were the focus. 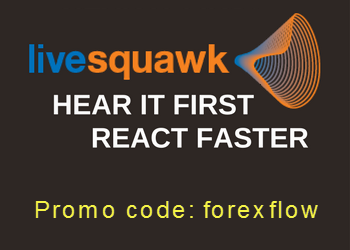 The quid, the dollar, euro and gold were the hot topics as I spoke to Matt Brown on FXStreet’s Currency in Play. When markets are on the move there’s no need to guess where they’re going, just let the charts do the talking for you. The dollar is trying to build up its muscles but unless it starts taking fx pairs to new levels, it’s still ranging. Today I spoke to Matt Brown on FXStreets Currency in Play show. Today I spoke with Core London’s Matt Brown about USDJPY, GBPUSD and EURSD, with the FOMC heading closer, and expectations rife about what the Fed will do with interest rates and winding down the balance sheet. Today I took a brief look at currencies following the UK’s latest inflation data. You can find this show and many more at Core London TV. Quiet summer markets are interspersed with short periods of volatility. In my latest chat with Core London, for FXStreet’s ‘Currency in Play’ show, we discuss trading conditions and how I got a trade idea right but the execution wrong.